B&B Dog Training and Pet Sitting Services offers professional, personalized in-home care for dogs, cats, birds, and small animals. We provide love, attention, exercise, and play while you are at work or away. In-home care ensures that your pet is in a familiar, comfortable environment and that their specific routine is followed. Your peace-of-mind comes from knowing that our experienced pet sitters are trained and knowledgeable about animal care. See Dog Walking and Pet Sitting Services for more information. B&B Pet Services also offers in-home dog training and behavioral counseling services with owner and professional dog trainer Michelle Bertrand. See our page on Dog Training and Behavioral Counseling for more information. Owner Michelle Bertrand and her professional staff have been working together for many years. 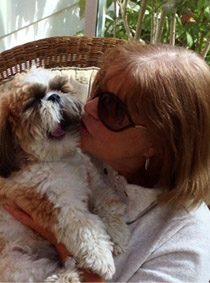 Michelle is a certified trainer as well as a certified pet sitter and dog walker. 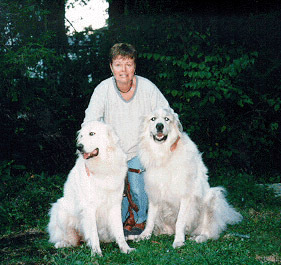 She is an active member of the Association of Pet Dog Training (APDT.) a member of Pet Sitters International (PSI), as well as a member of the Association of Animal Behavior Associates (AABA). Michelle regularly attends training courses and lectures to ensure you get nothing but the best, most-up-to-date cat and dog training. B&B Dog Training and Pet Sitting Services provides dog walking and pet sitting services to clients in Southern Westchester and provides training in the lower Fairfield Connecticut area. B&B Pet Services has been proudly serving the pet owners of Westchester and Fairfield Counties since 1998. Visit our Contact Page if you are interested in any of B&B's services. Website design and hosting by MicroWeb Online small business web design.